This book describes the incredible recovery stories of 5 musicians who all suffered different traumatic brain injuries; a car accident, two bicycle accidents, a ruptured brain aneurysm and a terrible fall from the fourth story of a building's fire escape. Their riveting journeys from horrific injuries, nearing death, through intensive care treatment and rehabilitation accounts for what many trauma patients and their families endure. However, these stories especially focus on their rehabilitation through the use of their musical skills as well as physical, cognitive, speech and language abilities. The book compares what they all had in common in their recovery process and how this may be related to having a musician's brain. It is well documented that the brain of a musician is quite different than the brain of a non-musician from hours and years of practicing their instrument. Playing an instrument and reading music recruits many brain regions simultaneously. This is much like a workout for the body only it "works out" the brain. This book describes the differences between a musician's brain and that of a non-musician's, cites research in that area and also begins to demonstrate the possibility that musicians may recover more efficiently than non-musicians who suffer similar brain injuries, because they have more neuro-networks in many brain regions acting as a "scaffolding" for the brain; this helps compensate for injured areas. Some preliminary research is cited that purports professional musicians do not suffer degenerative brain diseases such as Alzheimer's Disease, as much as non-musicians. 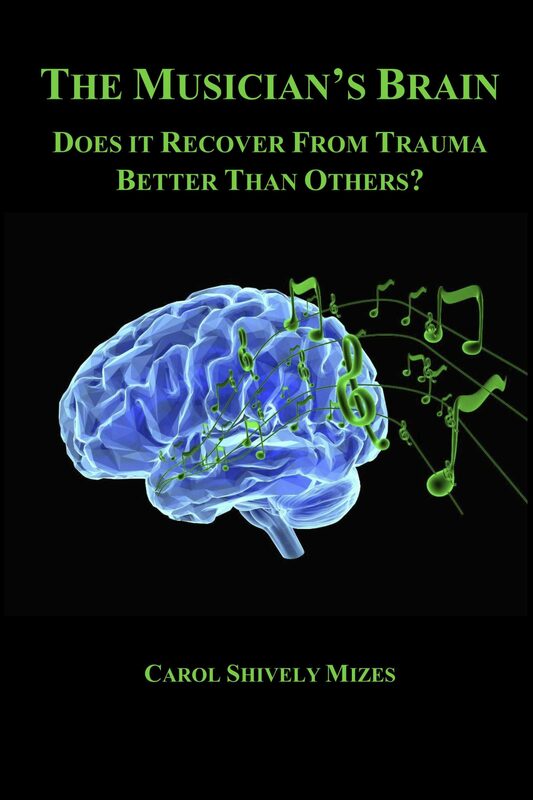 My goal is that this book will help to begin a discussion between clinicians and researchers, connecting musicians, neuro-scientists, rehabilitation therapists, music therapists, music teachers and medical personnel working with people who have acquired brain injuries.